At the end of August, Mr Creber retired as our principal after 38 years of service to education. Mr Creber is a graduate of Physics at Queens University Belfast and started his career as a Teacher of Science in September 1980 at the Boys Model, Belfast. Later he progressed to Dunmurry High School first as Head of General Science and later as Vice Principal before progressing to Principal of Donaghadee High School. Mr Creber joined Brownlow Integrated College in February 2007 and from the very beginning was a strong advocate of integration. He has a wide range of interests and skills ranging from tennis, skiing, cars and good food. He has a particular interest in canoeing and would be a part time instructor at Tollymore to this day. Another major passion is mountain hiking which has involved many pupils past and present, the PSNI and training mountain leaders. Over the years, Mr Creber has worked tirelessly for our college raising our profile in the Area Learning Community and within NICIE. He has raised the expectations and achievements of both pupils and staff through his diligence to detail which has transformed the college’s results. Mr Creber has always shown strong pastoral support for pupils and staff alike. He has freely given his time to a wide range of activities for the pupils after normal hours because it is his vocation rather than a job. He feels strongly about parental and community involvement and has organised a range of activities to this end throughout his career. 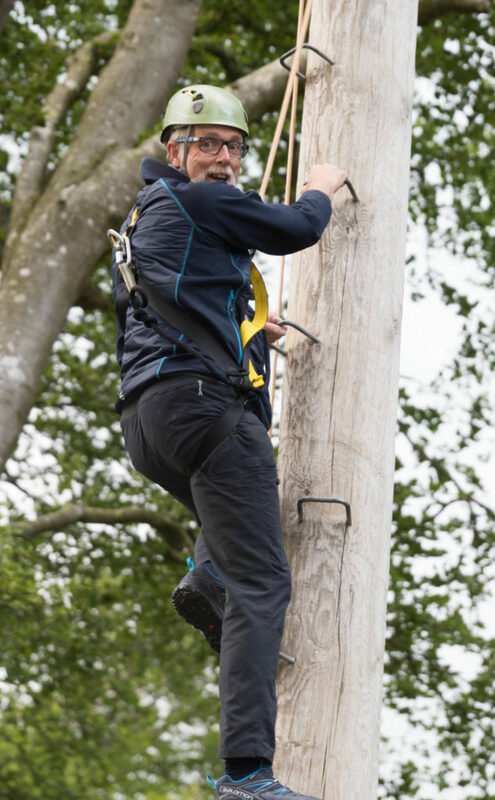 For Mr Creber, seeing children achieve is more than purely academic, he feels the extra- curricular activities have a huge role to play in building character and relationships. He thoroughly enjoys being at the BBQ cooking burgers for pupils and parents at Brownlow Family and Friend’s night – and we hope to avail of these skills in future years as he has agreed to come back and cook for us at yearly events! Equally, it gives him great joy to take twenty pupils up into the Mournes to experience sights they might otherwise never see. We hope that he also will continue to lead our Ramble Excursions, even during his retirement. Mr Creber has been a great ambassador to our school for integration as a whole. We will miss him greatly in Brownlow but he will remain a part of the Brownlow family forever. We wish him all the best in a very active retirement.